Manson School District has contracted with an independent environmental consultant to assess the water damage and restoration efforts. The consultant will assist the restoration contractor in developing a protocol and timeline for recovery. Presented by Principal, Don Vanderholm and Manson A.S.B. Officers and Photos by Heidi Neal. 2/17 - 2/21 What's Happening @ Manson Elementary??? Submitted by Principal, Heather Ireland. Manson FFA Ag Mechanics team of recently competed in a contest hosted at Okanogan High School. OLYMPIA –Toll rates and policies for the Tacoma Narrows Bridge and the future I-405 express toll lanes will be among the topics for discussion at the Washington State Transportation Commission’s meeting next week in Olympia. The meeting starts 9 a.m. each day, Tuesday and Wednesday, Feb. 18 and 19, at the Transportation Building, 310 Maple Park Ave. SE, on the Capitol Campus in Olympia. The meeting is open to the public and persons wishing to speak to the commission may do so during the public comment period scheduled at the end of each day. Tuesday’s agenda begins with a briefing on Washington State Ferries’ work toward retrofitting the six Issaquah Class ferries to use liquefied natural gas as a source of fuel. Pending U.S. Coast Guard approval and funding, WSF could begin the first conversion of an Issaquah Class ferry as early as 2016. The commission also will hear about the Lean management reforms and resulting efficiencies undertaken by the Transportation Improvement Board, a state agency that distributes and manages street construction and maintenance grants to cities and urban counties throughout the state. On Tuesday afternoon, the commission will receive a briefing on the Puget Sound Regional Council’s proposed long-range transportation plan update for the region, which is out for public comment and review until March 10. The commission also will receive a briefing on the National Freight Advisory Committee from Karen Schmidt, executive director of the Freight Mobility Strategic Investment Board and the only member of the national committee from the Pacific Northwest. The NFAC is developing national freight policy and a strategic framework for freight movement. On Wednesday, the commission will be briefed on the latest research on seismic hazards in Washington and the implications for transportation planning and projects. It also will receive a report evaluating the feasibility of merging the tolling and ferries customer service centers. The commission also will receive recommendations from Washington State Department of Transportation and the Tacoma Narrows Bridge Citizen Advisory Committee on whether a planned 25-cent toll increase is sufficient to meet financial obligations. This rate increase was adopted by the commission last year, subject to review this winter, and is scheduled to take effect July 1, 2014. The commission will continue its discussion of toll rates and policies for the I-405 express toll lanes, currently under construction between Bellevue and Lynnwood. The project is the first phase of a planned 40-mile-long express toll lane system that will ultimately connect to the existing SR 167 HOT lanes and run from Lynnwood to Puyallup. WENATCHEE, Wa - Chelan County PUD’s campaign to introduce customers to energy-efficiency rebates and benefits in 2013 has been recognized with a top community relations award. The Puget Sound chapter of the Public Relations Society of America recognized the PUD’s “Conservation Makes Cents” outreach campaign with a “Totem Award” at the Thursday evening annual awards banquet in Seattle. The award is the top honor in the organization’s Community Relations category. 2013 was the first year that Chelan County PUD offered a comprehensive menu of energy-efficiency measures to residential customers. The measures were introduced through a Conservation Department outreach campaign called “Conservation Makes Cents” that included an animated video by North 40 Productions of Wenatchee, print and radio ads, billboards, and fliers available at local stores, home shows and other public events. Chelan PUD customers who took advantage of energy-efficiency programs saved 20,761,200 kilowatt hours of energy last year – enough to power about 1,000 homes in Chelan County. The savings helped the PUD surpass its 2013 conservation goal by about 40 percent. Some 1,890 homeowners participated in programs to save energy and money including rebates on appliances, windows, insulation and ductless heat pumps; duct sealing for manufactured homes; and refrigerator/freezer recycling. Thirty-five businesses installed energy-efficiency improvements with help from the PUD. And 94 low-income households received weatherization help using PUD funding through the Chelan-Douglas Community Action Council. Saving energy is a winning proposition for everyone. Customers save money by reducing electric bills. When customers save energy, more power is available to sell at wholesale rates on the open market; those revenues help keep local retail rates low. Customers also help the PUD meet state-mandated targets under the Energy Independence Act. Surveys of customers who participated in programs last year showed high satisfaction with their products and PUD customer service. There’s still time to participate this year as all programs are continuing. The Conservation Department’s 2014 theme is “Better Ways to Save.” The 2014 program kicked off last week with another short North 40 video that stars a chicken. Find details and application forms for 2014 programs on the PUD’s website. Jeff Wilkens, Wenatchee Valley Transportation Council (WVTC) Executive Director, updated the Commission on a Highway 2 corridor study, focusing in on the Cashmere intersections. The Goodwin Street Bridge is expected to be closed in ten years due to capacity, age, and deterioration. A proposed Transportation Study will evaluate all Cashmere Hwy 2 intersections, freight mobility and truck routes, and Goodwin Bridge replacement. Port Commission Chair JC Baldwin noted that freight mobility is an extremely high priority, especially for the tree fruit industry. In view of this, and the Port’s ownership of the Cashmere Mill Site, the Commissioners approved contributing $30,000 in matching funds for this study. Chelan County, the City of Cashmere, and the WVTC are also providing funds. WSDOT will contribute staff engineering services, and the study will include a public input component. Craig Larsen, Port of Chelan County Business Development Director, reviewed with the Commission some work plan goals for 2014 including real estate portfolio review, community relations and communications, partnerships, marketing properties, recruitment of new businesses, and business retention. The Commission directed staff to issue a Request for Qualifications (RFQ) for real estate services for the lease or sale of the Peshastin Mill Site property. The marketing and eventual lease or sale of the property will incorporate the Port’s commitment to provide public access to the Wenatchee River and to accommodate a future trail corridor, in a manner to be determined. The HVAC Project for Industrial Building #4 (IB#4) was put out to bid in December, 2013. Only one bid was received and was much higher than the Engineer’s estimate. The Commission approved rejecting the previous bid. Revised plans and specifications were presented and the Commission authorized the engineer’s estimate of $142,356 including WA state sales tax to be placed on file and a call for new bids. The project will replace a significant portion of the IB#4 HVAC system. Pregis, which manufactures bubble wrap products, has been a long term tenant with 13 employees in IB#4. The HVAC improvements were a condition of the recent renewal by Pregis of their lease of IB#4. Pregis is a manufacturer of packaging materials used by the agricultural industry. The Port of Chelan County Commissioners unanimously approved Task Authorization 01.129 with RH2 Engineering to finalize plans and specifications for Phase II of the Cashmere Mill Site Wood Waste Removal Project. The project is funded by the Washington Department of Ecology, using dedicated funding from the State’s Model Toxics Control Account (MTCA). Plans and specifications are scheduled to be ready to go out to bid in late February, 2014. A major portion of the Mill Site remains under contract to Crunch Pak to accommodate potential future expansion. The Port of Chelan County Commissioners approved a policy involving the lease with the Pybus Market Charitable Foundation. The policy addresses the receipt and review of financial information from the Foundation anticipated by the lease. The policy was suggested by the State Auditor, as a means of assuring compliance with requirements of the HUD federal grant that funded a significant portion of the project. Laura Jaecks, Port of Chelan County Capital Projects Manager, also advised the Commissioners that the project to add stairs from Pybus Market to Riverfront Park is progressing. However, the recent freezing weather has put the project on hold, but the mild winter weather has allowed contractors to pour the concrete steps and ramp. 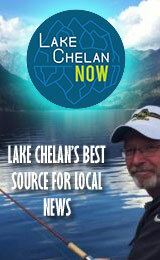 Port of Chelan County Commissioners unanimously approved a hiring policy for future full time employees. The policy states notice of availability of an open position will be posted including the application process and compensation range. There is no statutory mandate requiring the Port to follow this process, but the Commission approved this policy for future full time employee hiring by the Executive Director. Trent Moyers, Pangborn Airport Director, and Craig Larsen, Port of Chelan County Business Development Director, briefed the Port Commission on an upcoming visit Feb. 10-11 by our air service consultant Jack Penning of Sixel Consulting. A series of meetings will be held with stakeholders, community leaders, and a public presentation is scheduled for February 11 at the Confluence Technology Center. See the attached media release for more details. This effort is being funded largely by a federal grant awarded to Pangborn for the purpose of maintaining and increasing scheduled commercial air service connecting North Central Washington to the national and international air transportation system. Jack Penning, Director of Market Analysis at Sixel Consulting, will brief the public and community leaders on current and future air service at Pangborn Memorial Airport on Tuesday, February 11th. The meeting will be held at the Confluence Technology Center, 285 Technology Center Way, Wenatchee at 10 a.m. There is no cost and all are encouraged to attend. Sixel Consulting recently prepared a successful Small Community Air Service Development Grant application for Pangborn in the amount of $200,000 from the Federal Department of Transportation to support current and future air service. Jack’s visit is the kick-off of the process of engaging stakeholders and the public served by Pangborn in the process of deciding how best to use these funds to benefit Pangborn and the entire region. Topics to be covered include: The state of the airline industry, recent performance of the Wenatchee market, and marketing current and future air service. The presentation will be followed by an opportunity for questions from the audience. Wednesday, February 12, 2014 at 4:00 P.M.
* Vouchers for General Account: Voucher #12133 through #12141 for $5,531.67; Voucher #12157 through #12178 for $15,498.12; Voucher #20140101 through #20140114 for $4278.54; Vouchers #20140116 through #20140128 for $5,994.41; Vouchers #20140129 through #20140133 for $3,703.30. 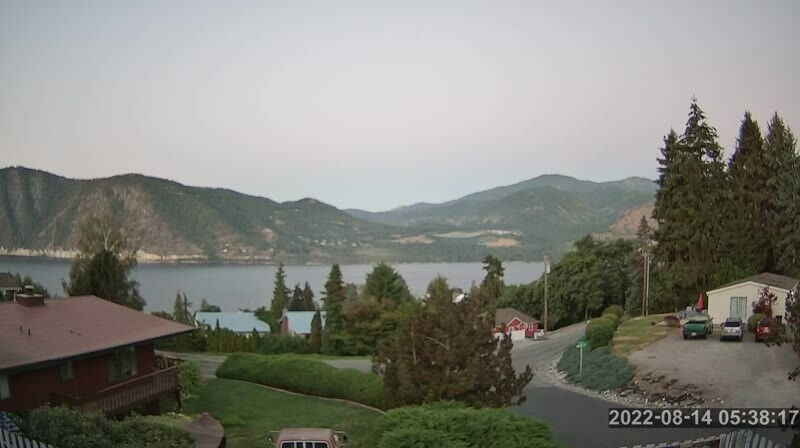 WENATCHEE, Wa - Chelan County PUD residential customers may be contacted by phone in the next week or two and asked for their opinions about their electric service. This is part of a benchmarking effort to see how the PUD compares with other public utilities when it comes to customer service and power reliability. SDS Research, a Utah firm that specializes in survey work for customer-own utilities, is conducting the phone survey. The firm has bilingual staff in its call center so that we can gather responses from a broad cross-section of our customers who agree to participate in the seven- to eight-minute telephone survey. The calls will come from a “208” area code with “SDS Research” as the caller I.D. SDS has interviewed more than 500,000 public utility customers in 34 states during the past 15 years. Data collected from the Chelan PUD survey will be analyzed to see how well the utility is doing when compared to like-utilities. Chelan PUD is paying SDS $10,000 to help develop the questions, conduct the survey, analyze and match the results from 400 PUD customers with the SDS benchmark data, and to present the findings to commissioners and other interested parties. Customers who have questions about the survey are asked to call PUD Customer Accounting staff at (509) 661-8002. 1/27 - 1/31 What's Happening @ Manson Elementary??? 1/27 - 1/31 WHAT'S HAPPENING AT MANSON HIGH/MIDDLE SCHOOL ??? Submitted by Krisy Nelson, The Manson High School Knowledge Bowl (KB) team will be hosting a KB tournament, Monday, January 27, 4:00 PM — 6:30 PM. Submitted by Eric Siverston Now through 1/25/14. Submitted by Celeste Thomas, Lake Chelan Community Hospital. Beginning December 1, 2013 the Manson Business Association’ website www.visitmanson.com will begin the process of populating web pages. As a business owner or a supporter of our local businesses you have the opportunity to direct the content of your portion of the website. If the Internet is not your thing I will be happy to help you with write ups and photos. Many folks living away from the Chelan Valley will use this site to locate places to stay, food to eat and where to have fun. This is a real opportunity to promote your business. If you have not yet joined the Manson Business Association contact Kim Usantic at 206-000-0000 or send her an email. Being part of the MBA provides many benefits that will help promote Manson and your business specifically. One key to a successful website is that it is constantly changing, giving viewers a reason to come back time and time again. On our website is an “Events” section that needs to be LOADED with reasons to visit our sleepy Manson. Use this section to highlight special events at your business, sales, entertainment and promotions. It’s a simple process. Just email me with your update and I will add to the site. I’m looking forward to working with everyone. You are receiving this email because you are part of the MBA database. Let me know if you no longer want to receive MBA E-News.